Claire Pentecost presenting at InsideART Teacher's Workshop for Extracted exhibition. Photo: Will Lytch. Welcome to InsideART, an innovative arts-based learning and visual literacy program that integrates social studies with contemporary art in an examination and discussion of pressing societal issues. This secondary school program is provided free of charge to all teachers and students by the Institute for Research in Art (IRA) at the University of South Florida, Tampa, and is hosted on the IRA website. Developed to benefit secondary school students (grades 6-12) and their teachers, InsideART facilitates the appreciation of socially-engaged contemporary art and helps develop creativity and critical thinking skills, allowing students to view their communities and the world in new and more sophisticated ways. There are two central components to the program: professional development workshops attended by secondary visual arts and social studies teachers, and a free supplemental curriculum hosted online. Optional components included in the program are field trips to view the museum exhibitions with tours and supplemental learning tools. The curricula are based on temporary art exhibitions at the USFCAM and follow national and state educational standards, as well as Common Core requirements. The interactive lessons are classroom-ready, field-tested, and include all materials needed by both teachers and students. Twice-yearly workshops, in conjunction with CAM exhibitions, provide teachers with the tools necessary to integrate the curriculum and concepts into their teaching. The workshops are open to all secondary school visual arts and social studies teachers and include presentations from faculty, curators and artists, museum visits, discussions, group interactions, and networking opportunities. For each workshop offered, teachers bring their experiences and lessons plans back to their schools. Participating faculty have published multiple articles in various scholarly and practitioner-oriented journals (e.g., The Social Studies, Art Education), and have delivered numerous state and national presentations highlighting InsideART, increasing the outreach and impact of this initiative. Arts-based learning is defined as “the instrumental use of artistic skills, processes and experiences as educational tools to foster learning in non-artistic disciplines and domains.” The Art of Science Learning (with major NSF funding) found “clear evidence of a strong causal relationship between arts-based learning and improved creativity skills and innovation outcomes in adolescents…” with improved creative thinking skills and stronger STEM innovation outcomes. Moreover, students were more likely to apply this learning to school, extracurricular, work, or volunteer activities than their peers who received more traditional learning. The collaboration among the USFCAM, the USF College of Education, and the School District of Hillsborough County (SDHC) results in a unique partnership. Noel Smith, Deputy Director of USFCAM, and Dr. Bárbara Cruz, Professor of Social Science Education at USF, initiated the project and serve as co-directors. Since its inception an additional faculty member, Dr. Cheryl Ellerbrock (who specializes in adolescent learners) has joined the team. Two doctoral students in Curriculum and Instruction who are experienced classroom teachers assist with curriculum development. The SDHC collaborates with the program by facilitating the attendance of teachers and assisting in their recruitment. Thanks for using USF Institute for Research in Art's InsideART! We hope you find it a valuable resource for your classroom. As we create new installments of our unique online curriculum, we will add them to this page. Each edition will contain a link to its own webpage to allow you to download all the necessary files for that series of lessons. If you are a secondary school teacher in the Tampa Bay area and wish to inquire about participating in the workshops or using the curricula, please contact Noel Smith or Dr. Bárbara Cruz. The Spring 2019 edition of InsideART focuses on the USFCAM exhibition The Visible Turn: Contemporary Artists Confront Political Invisibility. The four international artists in The Visible Turn: Contemporary Artists Confront Political Invisibility, Karolina Sobecka, Bosco Sodi, Tavares Strachan, and Jorge Tacla, created installations in response to the phenomenon of cultural concealment. 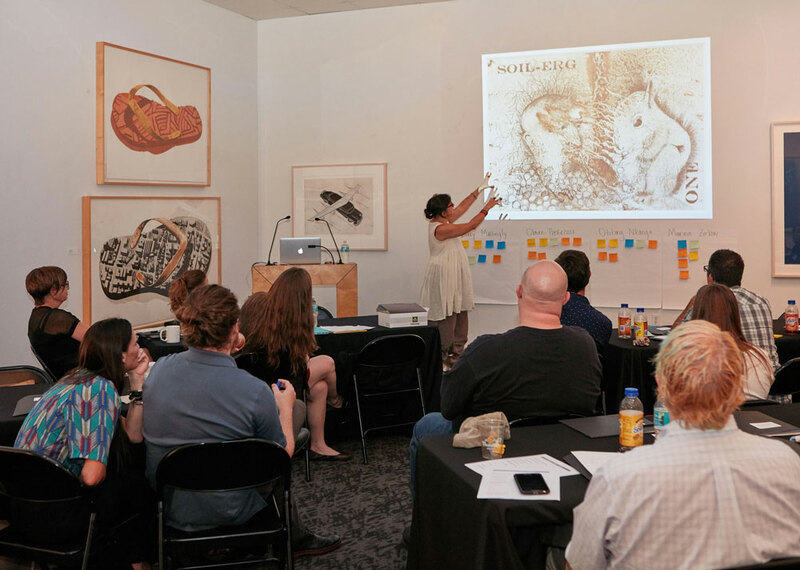 They combined the presentation of objects and performances inside an exhibition venue with artist-directed activities that engaged and supported communities in the Tampa Bay area affected by political or social invisibility. Together, the works refer to people and ideas that have crucially been omitted from today’s social, political, economic, and cultural processes. According to Duchamp’s logic, invisibility is impotence. What is powerful is to be seen. Curated by Christian Viveros-Fauné; organized by USF Contemporary Art Museum. The Stanton Storer Embrace the Arts Foundation is the major supporter of The Visible Turn: Contemporary Artists Confront Political Invisibility. Bosco Sodi, MURO is sponsored by The Gobioff Foundation and USF World. The opening night artist conversation is made possible by the generous support of Dr. Allen Root in honor of his late wife Janet G. Root. Film on the Lawn presented by CAM Club. InsideART The Visible Turn: Contemporary Artists Confront Political Invisibility lessons are written by USF College of Education faculty Dr. Bárbara C. Cruz, Professor of Social Science Education and Dr. Cheryl Ellerbrock, Associate Professor of Middle Grades and General Secondary Education; and Sarah Mead, M.A.T. and Cristina M. Viera, M.A. & M.Ed., Doctoral Students in the USF College of Education. The program is co-directed by Dr. Cruz and Noel Smith, Deputy Director, USFCAM. Click here to access the 2019 The Visible Turn: Contemporary Artists Confront Political Invisibility InsideART lesson plans and instructional materials. The Fall 2018 edition of InsideART focuses on the USFCAM exhibition Miki Kratsman: People I Met. For three decades, Miki Kratsman has been one of the leading chroniclers of life in the Israeli-occupied territories. His photographs—many of them documentary images taken during a previous life as a press photographer for the Israeli newspapers Hadashot and Haaretz—uncover personal stories while revealing the violent, often detached nature of Israel's military occupation of the West Bank and Gaza. While trying to answer the question “What happened to the people in the photographs?,” Kratsman amassed a vast archive of more than 9,000 portraits of anonymous Palestinians, which he first uploaded onto a dedicated Facebook page in 2011. The USFCAM installation materializes the artist’s growing portrait archive together with identifying commentary that, in some cases, serves as a literal proof of life—or death. People I Met raises questions about the culture of representation and continues the museum’s tradition of presenting challenging artwork with social content. The exhibition also includes a video titled 70 Meters...White T-shirt, and several recent photographic series. Curated by USF Contemporary Art Museum curator-at-large Christian Viveros-Fauné; organized by USFCAM. Click here to access the 2018 Miki Kratsman: People I Met InsideART lesson plans and instructional materials. The Spring 2018 edition of InsideART focuses on the USFCAM exhibition Climate Change: Cuba/USA. InsideART Climate Change: Cuba/USA lessons are written by USF College of Education faculty Dr. Bárbara C. Cruz, Professor of Social Science Education and Dr. Cheryl Ellerbrock, Associate Professor of Middle Grades and General Secondary Education; and Sarah Mead, M.A.T., Doctoral Student in the USF College of Education. The program is co-directed by Dr. Cruz and Noel Smith, Deputy Director, USFCAM. Click here to access the 2018 Climate Change: Cuba/USA InsideART lesson plans and instructional materials. The Fall 2017 edition of InsideART focuses on the USFCAM exhibition David Claerbout. InsideART David Claerbout lessons are written by USF College of Education faculty Dr. Bárbara C. Cruz, Professor of Social Science Education and Dr. Cheryl Ellerbrock, Associate Professor of Middle Grades and General Secondary Education; Sarah Mead, M.A.T., Doctoral Student in the USF College of Education; and Noel Smith, Deputy Director, USFCAM. Click here to access the 2017 David Claerbout InsideART lesson plans and instructional materials. The Fall 2017 edition of InsideART focuses on the USFCAM exhibition Black Pulp! Black Pulp! examines evolving perspectives of Black identity in American culture and history from 1912 to 2016 through rare historical printed media shown in dialogue with contemporary works of art. The exhibition highlights works by artists, graphic designers, writers, and publishers in formats ranging from little known comic books to covers for historic books and magazines, to etchings, digital prints, drawings, and media-based works by some of today’s leading artists. Black Pulp! is curated by William Villalongo and Mark Thomas Gibson. The exhibition tour is organized by International Print Center New York. Black Pulp! is supported in part by the USF Institute on Black Life. The Spring 2017 edition of InsideART focuses on the USFCAM exhibition Duke Riley: Flights of Fancy. USFCAM presents a solo exhibition of Brooklyn-based artist Duke Riley, known for his ambitious and immersive projects which engage historical and contemporary social issues often through subversive performative action. Flights of Fancy will feature two projects exploring and celebrating Riley’s history of working with pigeons and waterfront districts within the nautical landscape. Curated by Sarah Howard; organized by USFCAM. A free poster is available for exhibition visitors. Duke Riley: Flights of Fancy is supported in part by a grant from the Arts Council of Hillsborough County, Board of County Commissioners, and by the USFCAM Art for Community Engagement (ACE) Fund Patrons: Allison and Robby Adams; Frank E. Duckwall Foundation; Francesca and Richard Forsyth;Gobioff Foundation; Courtney and Jason Kuhn; Linda Saul-Sena and Mark Sena; Sharmila and Vivek Seth; and Stanton Storer. The Fall 2016 edition of InsideART focuses on the USFCAM exhibition Extracted. Growing consensus among scientists suggests that we live in a new geological epoch characterized by humankind’s impact on Earth: the Anthropocene. This impact is evidenced in part by remainders of fossil fuel production and consumption, petrochemical use, industrial agriculture and mining. Extracted brings together a group of artists whose work investigates the extraction of natural resources, and the material and cultural circulation of such resources around the globe. Participating artists: Mary Mattingly, Otobong Nkanga, Claire Pentecost, David Zink Yi and Marina Zurkow. Extracted is curated by Megan Voeller and organized by USFCAM. Claire Pentecost's participation is supported by USFCAM's Art for Community Engagement (ACE) patrons: Sharmila and Vivek Seth, Allison and Robbie Adams, Courtney and Jason Kuhn, Francesca and Richard Forsyth, the Stanton Storer Embrace The Arts Foundation, and the Frank E. Duckwall Foundation. InsideART Extracted lessons are written by USF College of Education faculty Dr. Bárbara C. Cruz, Professor of Social Science Education and Dr. Cheryl Ellerbrock, Associate Professor in Teaching and Learning; Sarah Mead, M.A., Doctoral Student in the USF College of Education; and Noel Smith, Curator, IRA. Click here to access the 2016 Extracted InsideART lesson plans and instructional materials. The Spring 2016 edition of InsideART focuses on the USFCAM exhibition Histórias/Histories: Contemporary Art from Brazil. Histórias will showcase works by Jonathas de Andrade, Sonia Gomes, Virginia de Medeiros, Caio Reisewitz, and Luiz Zerbini, whose approaches address the varied histories of Brazil, some collective, some individual, but all rooted in reflections on the country’s complicated past and present, and vast geographical, racial, and cultural wealth and diversity. Curated by USFCAM Curator Noel Smith, with Dr. Agnaldo Farias, University of São Paulo; organized by USF Contemporary Art Museum. Exhibition sponsored in part by a grant from the Arts Council of Hillsborough County and the Board of Hillsborough County Commissioners, the USF Institute for the Study of Latin America and the Caribbean, USF World, and The Gobioff Foundation. Click here to access the 2016 Histórias/Histories: Contemporary Art from Brazil InsideART lesson plans and instructional materials. The Fall 2015 edition of InsideART focuses on the USFCAM exhibition A Family Affair. A Family Affair presents seven artists who explore personal identity and family relationships through photography, video, performance and animation: Renee Cox, LaToya Ruby Frazier, Kalup Linzy, Jacolby Satterwhite, Hank Willis Thomas, Corine Vermeulen and Deborah Willis. Adopting a range of approaches from documentary to fiction, they articulate visions of self situated within interpersonal and historical family contexts as well as broader social frameworks of race, class and gender, often working in collaboration with family members to realize their art. During the exhibition Corine Vermeulen will be in residence and undertake a three-month community-based project in collaboration with the University Area Community Development Corporation, photographing residents of the University Area community adjacent to USF in exchange for stories of neighborhood and family life. A Family Affair is curated by Megan Voeller and organized by USFCAM. The exhibition catalogue for A Family Affair is supported by a grant from the Elizabeth Firestone Graham Foundation. Corine Vermeulen’s residency is supported by Caspers Company and Sharmila and Vivek Seth. Click here to access the 2015 A Family Affair InsideART lesson plans and instructional materials. The Spring 2015 edition of InsideART focuses on the USFCAM exhibition Enhanced: Photographic Works from the Drapkin Collections with Contemporary Light-Based Media. Click here to access the 2015 Enhanced! InsideART lesson plans and instructional materials. The 2014 edition of InsideART focuses on the USFCAM exhibition CAM@25: Social Engagement. The USF Contemporary Art Museum celebrates its 25th anniversary with CAM@25: Social Engagement to highlight its history of bringing artists, and the practice of making contemporary art, to the Tampa Bay community. This selection of installations serves to mark CAM’s extensive history of exhibitions, commissions and collaborations with artists whose practices and projects embrace an ethos of responsible social meaning, purpose and motivation in the public sphere. 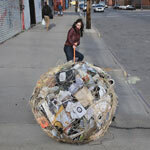 Artists include Los Carpinteros (Cuba/Spain), Pedro Reyes (Mexico), and Janaina Tschäpe (Brazil/Germany). Click here to access the 2014 CAM@25 InsideART lesson plans and instructional materials. The 2013 edition of InsideART focuses on the USFCAM exhibition SubRosa: The Language of Resistance. Referencing the ancient practice of hanging a rose to designate covert meetings, the Latin term sub rosa for centuries has denoted secrecy or confidentiality. The seven international artists in this exhibition are among the untold many around the world who contend with environments where censorship—real and threatened—violence and imprisonment are daily realities for those who speak out against the social and political oppression they experience. Together with their compatriots, these artists find ways to live with dignity, honesty and hope for change, and they choose to use their art for activism. Operating often in a sub rosa mode—covert, coded, dissimulated—they find languages for resistance in accomplished and intriguing works that span a range of media and registers, reaching diverse audiences in their own countries and across the world. Artists include Ai Weiwei (China), Ramón Esono Ebalé (Equatorial Guinea), Barbad Golshiri (Iran), Khaled Jarrar (Palestine), Zanele Muholi (South Africa), and José Toirac and Meira Marrero (Cuba). Click here to access the 2013 SubRosa InsideART lesson plans and instructional materials. The 2012 edition of InsideART focuses on the USFCAM exhibition Mark Dion: Troubleshooting. Click here to access the 2012 Mark Dion InsideART lesson plans and instructional materials. The 2010 edition of InsideART focuses on the USFCAM exhibition Carlos Garaicoa: La enmienda que hay en mí (Making Amends). Inspired by the architecture and culture of his native Havana, Cuba, Garaicoa explores issues relevant to contemporary society including urbanism, politics, history and human rights. He incorporates drawing, photography, sculpture and text in dramatic, large-scale installations as well as precious miniatures. Click here to access the 2010 Carlos Garaicoa InsideART lesson plans and instructional materials. The electronic images and information available on this site are subject to copyright and may be covered by other restrictions as well. 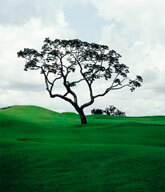 The images are made available to the general public as a representation of USF Contemporary Art Museum’s programs. Copy or redistribution in any manner for commercial use is not permitted. Anyone wishing to use any of these images for commercial use, publication, or for any purpose other than personal fair use must first request and receive prior written permission from the University of South Florida Institute for Research in Art. Please contact USFCAM at (813) 974-4133 for more information.